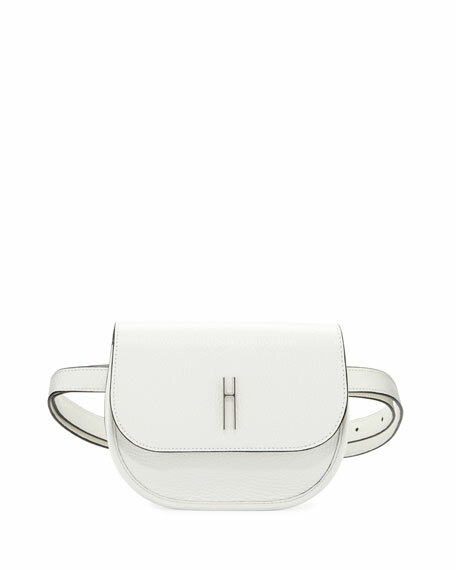 Hayward "Benny" pebbled leather saddle bag. Flap top with logo hardware. Inside, leather lining; one slip pocket. 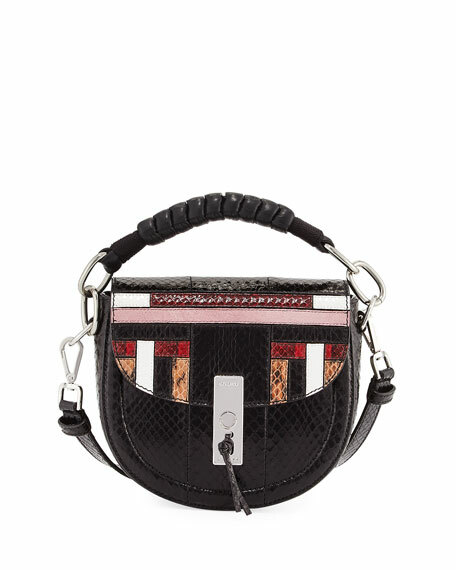 Bottega Veneta slim, pouch-style crossbody bag in signature intrecciato woven napa leather. 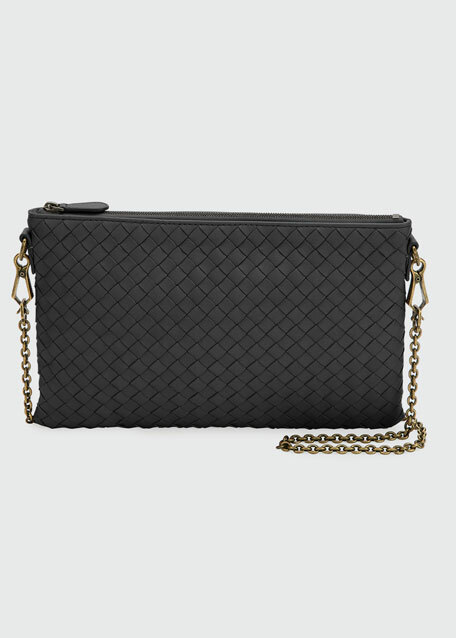 Removable chain shoulder strap. Zip top closure. 6.3"H x 9.7"W x 0.4"D. Made in Italy. Exclusively ours. Il Bisonte smooth leather crossbody bag with golden hardware. Flat top handle. Adjustable shoulder strap. 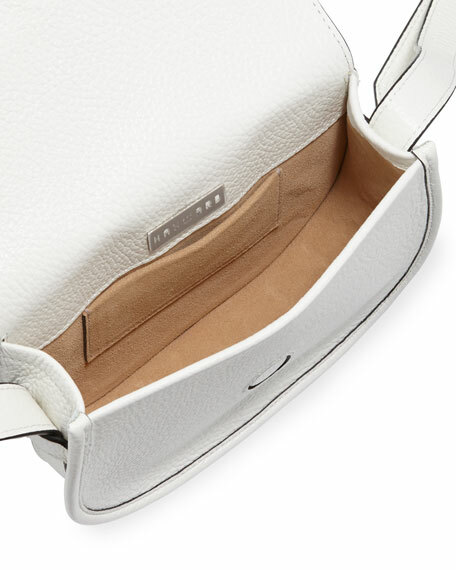 Flap top with magnetic closure. 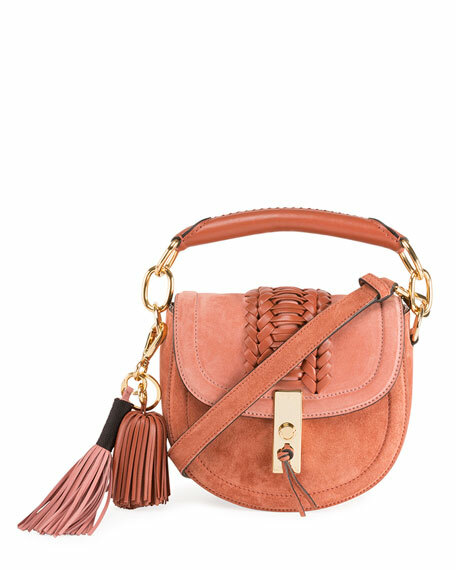 Exterior, ring detail with hanging tassel. 5.9"H x 6.9"W x 2.8"D. Made in Italy.